Foods You Always Need In Your Pantry - Be Prepared! Part of saving money in the kitchen and being prepared is keeping a well stocked and organized pantry. Don’t know how to do it? We’ve got helpful tips! An essential component to cooking frugally is keeping a well stocked pantry. The concept of a pantry is more than storage. Your pantry should be a place where you always have a good supply of basic ingredients and a few less expensive convenience foods. When you have the opportunity to buy something that you use frequently at a great price, buy a lot of extra and keep it in the pantry until the next time you can get such a good price. This allows you to opt not to buy an item except when the price is very low, “flexing” your pantry. Here is a list of items that we keep stocked in our pantry virtually all the time. I plan meals around what I have in the pantry and I buy what is on sale to keep my pantry well stocked. Only when I can find them for less than $1.50 a box. I make most of my salad dressing, BBQ sauce, and jelly when I can find a free source of fruit. 10 Meals in 30 Minutes or Less Time Saving Kitchen Tips 10 Easy Ways to Get Organized and Save Money Clean and Organize in Five Minutes! I dont mean to make you spend more money but if you invest a little extra money in tupperware you can save alot more on your grocieries becouse they help to keep things fresh. I wasent sure how good the products were untill I spent money on one of thouse cheep cerial containers I think it was a rubbermaid one and I put my cerial in it. about a week later I had very stale cerial. I now own 2 of the tupperware ones and they have been good for 2 weeks already. they also have another product called a fridge smart container. when I did parties I would tell people all the stuff they suggested you tell but then I thought about it and figgured I should try it. so I went out and bought a quart of strawberies for $2 brought them home cleaned them and took the stems out of them. some of them were starting to get a little soft I think becouse they were in the sun after being picked for most of the day but anyways I put them in one of the containers and stuck it in the fridge. about a week later when I realized they were still in there I took them out and cheaked them well I think I may have tosed 2 or 3 but for a week of them being in there that is not bad at all if you ask me. I am not trying to sell you tupperware. I am only suggesting that if you want to invest in something that will help streach your food budget wouldn’t it be better to invest in something that has been proven to keep food fresh and not only that but they will replace items that break. Tupperware is a good product. I use to use it years ago but it has gotten so expensive. I have found all kinds of it at thrift stores and garage sales for much less if you want to go that route first to see if you like it and it works for you. I use the Walmart BETTER HOMES & GARDENS brand. Lots of sizes and clear with white suction tops. Cereal stays fresh until gone. And much cheaper than Tupperware. 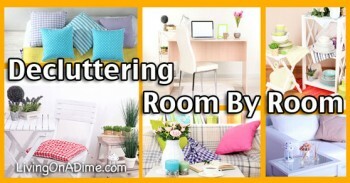 I agree that Tupperware is a great product for storing, I have both the rubbermaid and the tupperware, the tupperware is SO much better, and like Jill I too buy almost all of my tupperware second hand at the thrift stores, and I have also just recently accired all of my mom’s tupperware! With their lifetime guarntee for any crack, warp or damaged product with a full replacement how could you go wrong. Another item i use for storage is canning jars, I bought a box of 250ml for my spices and now have a fantastic spice drawer! Between the two I have not had anything go stale or spoil for a long time, my only angst is that canning jars have limited sizes, “but!” just recently I came across a box of canning jars that are 1.9L!!! the most I have ever paid for any tupperware is $15 for a large square fridge keeper, in the catalog the product was $69, and as for the jars the most I have spent is $7, the 1.9L box is $12.99 but I am waiting for a clearance sale!!! Kim I too love using jars of any sort for storing. Even though I do use some plastic I can taste the “plastic” taste in some things and there is no staining or even sometimes melting which happens in plastic when you microwave and accidentally get it too hot. I always wonder if I really am getting the plastic clean in those bumpy melted areas of the plastic. I know it’s silly but it is just a little thing of mine. I still use plastic any way. I love this part of the article. My mom recently questioned why I have 100 lbs of rice in my house. I told her it was .10 a pound, that’s why! 🙂 We go thru a lot of rice since we pretty much never eat meat. And I can use it as a hot cereal, or in rice pudding, in cold rice salads, or hot, regular rice. I don’t know if I’ll ever see it that cheap again and it lasts for a LONG time, so I stocked up. for a while the margarine I buy came in frig o seal tubs. one size was 2lbs and the other was 8 lbs. the tubs were perfect for storing things in the fridge and freezer and they were no more expensive than the other margarines. The other day I was making coleslaw and (yes jill I know clean up each meal) all my bowls were dirty or in use. I pulled one of the 8lb tubs out of the cupboard and used that. I not only got the coleslaw mixed properly with none of the dressing clumped in a lump on the bottom but after dinner I put the lid on it and stacked it with two others with leftovers and they fit nicely in my fridge. Bowls are awkward being round and take up much more room. I buy large bags of flour all types and can’t always get to them due to bad back and arms so I keep one type of flour in these flat tubs and they last for about 2 weeks before I have to have my husband fill them again for me. I also use them to marinate meats and vegetables. I put the lid on tight and they can be flipped over every time I go in the fridge with no messes. When I am done with the container I was it and then rinse it with vinegar. takes out the oil film and any smells or tastes. They also fit into coolers when you want to take them to the bbq or camping. If you forget them there it is not a big deal because they didn’t cost you anything and kids can use them on the beach as toys and boats and pails. Where on earth did you find rice for 10 cents per pound?? What is the best way to store fresh tomatoes, mushrooms, vidalia onions. It is almost time for tomatoe season here and I love them but they go dead so fast I waste a bit of money. I know to ripen tomatoes wrap them in newspaper and store in a dark area. But buying green ones at the store is just not much of an option. Vidalia and wala wala onions have to be kept in the fridge or they die really fast. Celery is wrapped in tin foil and last weeks longer than in anything else. But mushrooms last 2 days on the counter and 3 days in the fridge is there any way to make them last longer. You can dry the onions and mushrooms…. in a pinch, you can dry and powder tomatoes so you won’t lose out if they look like they are going bad. Tomato powder has lots of uses as juice, soup sauce and paste! I’m a single senior, so I have to be very careful about waste. I love cooking with mushrooms, but I was terrible about letting half a carton go bad before I used them all. Ugh! Now I buy frozen, mixed mushrooms. Yes, they are more expensive, but I never have to throw any of them out. I buy staples in family sized quantities and store them successfully. Ground meat on sale is cooked before putting in the freezer in small bags. You learn to adapt as you get older. I love being retired and having more time for cooking REAL food! I buy onions and mushrooms on sale, then prep and sauté (they take up less space when cooked) and freeze them in half cup containers or zip top bags. I store my fresh mushrooms in the freezer for future cooking. I slice them and saute them in just a little bit of chicken broth until they are cooked. I drain them in a colander. I then package them in those little snack-size plastic bags…equal to the size of a small can of mushrooms. I place those snack bags into a larger plastic bag and put in the freezer. This works if you are using them to cook with. I stopped buying chopped/sliced olives when they became expensive. I just buy the standard size olives when on sale ($1.00 or less) and slice them myself. I get probably an equivalent of 2 small cans which makes them more affordable. I keep them in the refrigerator for a long time. I store my onions chopped in the freezer….I do add a little flour to them to keep them from freezing into a hard block of ice. You can do this with peppers and celery as well. For years I have grated my own cheeses. I found that if I dusted the grated cheese with corn startch before I freeze it, it does not stick together. I use about a tablespoon of cornstarch to a cup of grated cheese. Works like a charm. Grating my own cheese saves a bunch of money. @Grandma: You asked “But mushrooms last 2 days on the counter and 3 days in the fridge is there any way to make them last longer.” I like to buy a big package of mushrooms and separate them into little snack baggies and freeze them. They usually don’t last too long (we love mushrooms), but it’s so much easier this way. When it comes time to throw them into the recipe, we just dump them in from the baggie, they cook with the rest of the food, and they still taste wonderful. As far as I can tell, we haven’t had any problems with doing it this way. Wrap whole onions in alum foil and put into freezer; great for soups or stews. I use serrated knife to cut off ends, put those in freezer bag with veg leftovers for broth. Cut onion in half, quarter and pop into soup or stews. (no need to defrost) Use those GREEN BAGS to keep vegs in refer for 2-3 weeks as I don’t go to mainland, to shop, very often. for onions,celery,carrots, mushrooms u can package and freeze for future use just basically like u buy them? no blanching or anything like that? awesome!!! going to try this. what about green peppers and potato’s? Dawn you can just chop and freeze green peppers but potatoes have to be partially cooked. Plus you can’t freeze them direct from the garden but are best if you let them set at room temp for 15-30 days before you freeze them. They are a little more complicated but they do freeze fine cooked in say like a casserole and frozen. Butter freezes great. Milk freezes great too. The only thing with milk is sometimes is separates after frozen but if you just shake it real well it works fine. I agree totally on stocking up when you can on bargain priced items! I do that all the time! I keep a best price guide with my friends. We often ask one another, Where is the best price for____? Somehow, we are able to store those silly numbers in our heads when other numbers don’t stick. I aim at buying cereal at 10 cents an ounce or less. Buying an 8 oz box of cereal for $1.50 is not a bargain in my book. You gotta’ look at the unit pricing. And it’s really easy to do the math on 10 cents an ounce! Grapenuts at Smart and Final is 9 cents an ounce. A few weeks back I was buying cereal at WinCo and all the cereals at this certain display were the same price, but different sized packages. There were two sizes of shredded wheat squares. One bag ended up being way under 10 cents an ounce, so I got a few 2 lb. bags. If we run out of cold cereal, oh well, have oatmeal at 25 cents a pound. I get that in 25 lb. bags. I pour it into 5 gallon buckets and one gallon pickle jars. If they fly through the fresh milk, on to the powdered milk. Thank you for all you do! This is a great place to start frugality. I send my friends to see what you have to say. I don’t mean to ask a dumb question (or repeat one that’s been asked), BUT would you say that stocking your pantry ahead of time would save more money than buying week to week? I keep a few staples on hand like flour, sugar, butter, spices, and oil. I don’t keep much more than that “always” on hand. I’ve just never seen it done this way. (My mom/ grandmother didn’t do it that way… they’re the only thing I have to compare it to.) I’ve been at it several years using my mom’s method (planning meals week to week, being sure to use leftovers), but I am thinking this could be an area where we spend a little less money each month. I have read on here where you spend about $40 less than I do on groceries per month (I usually spend between $240 and $250). It may sound crazy, but it would be really nice to put that $40-$50 into other bills. Thanks! R week by week menu planning is fine especially if you stick to your list. Sometimes though people will spend extra so lets say a person spend $25 extra then what they had planned each time they go to the grocery store. So if you go to the store even 4 extra times in a month to pick up something that means $100 extra in one month alone and $1200 in a year. The main thing I keep my pantry stocked with is with things I have found on sell. For example if they have a really good deal on soup I buy extra and keep in my pantry. That way next week when I need soup I don’t have to pay full price for it. I also like to have extra because of emergencies.If we have an ice storm and can’t get out it is no real problem. I have enough food in my pantry to keep me for many weeks. I don’t have to run to the grocery store right before a storm and stock up (and pay full prices on things). I have a family of six and I never used to coupon, but I bought all generic. I would meal-plan and had some canned goods in my pantry and some baking stuff but then things changed. My husband was constantly being laid-off. Things got tight. I had a hard time feeding my family on our already small budget. 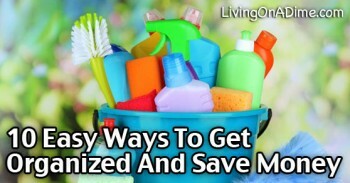 Then I learned about couponing and how to maximize by stocking up when things were on sale and then I started to save not just 50% but 75% to 90% on my grocery bills, and I had more food than I ever did before! I was actually able to buy more food with less money… and I don’t mean to say that I stocked up on tons of Ketchup or mustard or that kind of thing, but on food my family normally ate. What better was that I stocked up and still have non-food items which were always a struggle to buy before. I would always have to use cheap razors or off brand items who’s quality wasn’t the best before. I found a great meal plan from the Food Nanny to help me get variety in my meals. Then my husband lost his second job and things went from tight to very tight to in the negative. It was really a blessing to have that stock of non-perishable items and food available for our use. It really helped to take the stress off my husband and off of me. We did not have to do without the basic necessities until we got back on our feet. Now with the economic downturn, we find ourselves once again in the same situation as before. I have lots of food storage which is good. The only things I have to worry about are the more perishable items like milk and eggs, fruits and veggies, and meat… and I can and do know how to make things stretch. It is a comfort to have a well stocked pantry and have food for weather emergencies and for times when there is financial insecurity in your family. Learning how to save when you shop is a necessary skill to have with a large family and the peace of mind of having a food storage is wonderful! The Mormon church has powdered milk and some vegetables fairly cheap They have dehydrated carrots, onions, and apples. They also sell sugar, rice, oatmeal , and other basics such as flour and wheat. No matter how much you order the shipping is only $3. Check LDSstore.org. It is smart to have food storage in this day and time. I never used to stock up on things. Just didn’t have the room. 2 bedroom apt with a small kitchen and no shelves or area for shelves. I do it a bit now. about 3 months ago they had the large coffee cans on sale for $6. and you could only get 6 so I got 6 of them. They should go on sale again in about 5 more months so I am set to go. About 6 months ago the store had hunts tomatoe sauces on sale for $1. I bought 10 because I don’t use it much. They also had tomatoe paste so I bought 10 of those. Well my husband was with me and when he saw how many I was getting he disappeared. I thought he was upset that I was getting so many. I got to the check out and he was waiting for me with a cart full of tomatoe sauce, chopped tomatoes, and tomatoe paste. I just looked at him and sighed. When we got out to the van I asked why he got so many. “well you said it was a good deal” It was a very good deal but when I use tomatoe sauce maybe 6 times a year I have enough for 2 years here. I didn’t say anything in the store as that would have embarassed him but I asked him if he liked tomatoe based foods when we got away from there. He said no it upsets my stomach. He also did the same thing with canned soups. 3 cases of chicken noodle soup and 2 of tomatoe and 2 of mushroom. I use the mushroom for casseroles and solitary lunches for myself along with the tomatoe. He eats chicken noodle soup only when he has a cold. And people wonder why I don’t allow him in the grocery store with me very often. At least now I have a large basement. Stocking up is great if you do it on your terms. After my last post everyone here is allowed a good belly laugh at my expence. went to the drug store to pick up my needles for RA. It is so expensive that I pick it up last since if it is out of the fridge more than 20 min. it deteriorates. At 1700 for 4 needles I treat it better than gold. Anyway I went to the grocery store first as they have turkeys on sale for .96 cents a lb. Picked up cat food and containers for all my apple stuff. Got the prescription and went to the van and home. Went to put the turkey into the freezer and there was absolutely no room for a 13lb turkey. So it is now in the oven and will probably be cooked when Don gets home from work at 3am. Like I have said before we don’t eat a lot of turkey but I like to have one in the freezer for thanksgiving which is 2nd monday in Oct. I give it away if I know someone who could use one. I simply say we were given one and it is too big for us so would you be able to use it. Now I will have to use up some stuff in the freezer so I can get 2 for Christmas. just glad it isn’t too big and it will soon be cold enough for turkey pot pie, turkey soup, and turkey stew. An idea if you find yourself with a lot of stuff in your pantry that perhaps you find you are not using is to get together with your friends and have a pantry exchange. I had a BUNCH of canned veggies and a friend of mine and a BUNCH of bottled marinade sauces, we worked out a trade. It added variety to my pantry, rotated the old stuff out and we all left happy. I love the idea of trading canned goods. Just wish I had a friend close enough to do this with. My daughter lives 8 hours away and my closest friend only cooks with prepared items she purchases at the farmers’ markets. Christina, too bad we are not neighbors. I’ve also read about families who share foods they make during the week. Wouldn’t I love to do that. I cook extra on the weekends and put it in the freezer or eat it during the week but it would be fun to see what the neighbors cook and swap my soup for their “something”. Grandma, thanks for making me laugh. Whenever my husband shops with me – rarely – I try to stay with my list but he is always looking at other things “do we have any of this or that or this looks good”/ When I ask him if he will eat it, he looks at me and says “maybe”. Hah! We’ll stick with the tried and true. He does complain when I bring home the large pkgs of paper towels and TP saying what are we junking up the closets with all these things. He’ll be the one upset if we run out during a storm or something. My son (who shops like me)tries to tell him that this is a good deal but he just can’t see it. We all have a trials with the dearly beloveds, don’t we. My husband eats Chicken Noodle soup for lunch every day and Cheerios for breakfast. I have started buying the soup by the case. Would hate to run out on a Saturday before I could get to the store. Our grocery sells the cases in sets of two so when they are on sale for 2/$1 or 1/2 price (a can goes for $1.19 or $1.29 now) – I buy this double set. I just had to purchase more this weekend – my last cases ran out that I purchased in December. Looking for another sale. Also, use the Tupperware cereal containers and have for many years. The cereal stays fresh for months as long as you make sure the pouring spout is securely fastened. Fresh mushrooms will last for up to a week if stored in a plain paper bag in the fridge. When they begin to shrivel, I use them in homemade marinara. Burn the “hairs” on the bottom of onions with a lighter, then store in a dark, airy place; they’ll last for months. I’ve also heard of people storing them in old pantyhose legs with a knot tied between each one so they’ll get plenty of circulation. Carrots & celery wrapped in foil do well in the crisper. Carrot/celery sticks keep in water in Tupperware, just change the water every few days. If you have an actual basement/root cellar, carrots can be stored in 5 gallon buckets layered with dirt, but make sure you leave the lid off the bucket. Keep an empty bucket close to catch the extra dirt as you use the carrots. Fresh herbs do well wrapped in a damp paper towel in an unsealed zip top bag. Fresh basil retains its best flavor if blended with olive oil to make a thick paste (it stabilizes the volatile oils), and then stored in a freezer bag in the freezer. Just spoon out what you need for a recipe. It tastes like summer. When having a party and you need extra ice, begin saving cubes several days in advance in a large paper grocery sack. You’ll make your own ice & it won’t clump together. For “free” stock: I save leftover chicken bones, roast/steak bones, & veggies scraps (carrot tops, onion and garlic papers, tops and tails, herb stems, celery bases, squash tops and tails, tomato cores, ect) in a large freezer bag. When it’s full, boil it down, pass it through a chinois or cheesecloth and you have 6-8 cups stock. I like to freeze mine in 1 cup portions. I would avoid adding peppers, asparagus, or cabbage to the stock as they impart very strong flavors. You can also store the liquid drained from canned veggies to use as soup/stock base in a coffee can in the freezer. In Texas, we have HEB grocery stores. They sell 1-2 weekly meal deals. If you buy 1-2 items, you get 4-7 items free. I match the free items with coupons, and I’m sometimes paid to take the deal! Since I’m only cooking for my boyfriend and myself, I usually freeze 1/2 of the casseroles I make for busy nights. The local dollar store runs the foil dishes 2/$1, so they’re perfect. I make chicken stock but have never used all the tail ends of veggies but instead cut up the main parts of carrots, celery and the like. For some reason, including the bottoms and tops of veggies makes me worried that I am putting dirt in my stock. Do you wash all the tops and then add them to the pot? I am interested in making stock to get all the goodness out of the pieces of veggies not used for cooking but never had the courage to toss them in a pot. I’d be interested in knowing what you do to them before you cook them. I just made some chicken stock and used some of it for chicken and dumplings later in the week. What wonderful flavor and very little salt BECAUSE I DIDN’T PUT IT IN THERE! I get a 16 oz plastic container of yogurt at the farmers’ market and save those for putting the stock in. It is the perfect size for most of my cooking needs and I can add some water and a boullion cube if I need a little extra flavor or volume. Maggie I don’t know what Amanda does but you really only need to wash them. They are no dirtier then say a potato with the peel on it as far as dirt goes. You can use them to make broth, chop the tops up to add to salads and coleslaw and since the tops have some antiseptic qualities some people chew them for sores and such inside your mouth. I just rinse them. Like Jill said, it’s no worse than potatoes. I typically don’t peel vegetables because of the nutritional value, but when I do, I save the peels for the same application. I have 2 different colored kitchen brushes: One’s for dishes and the other’s for veggies. I meant to also add that I prep my veggies the day I bring them home. I rinse and chop carrots, onions, celery, peppers, ect for the week. I just store them in containers in the fridge. Dinner goes more smoothly & quicker. The caveat to that is mushrooms. I just wipe them with a cloth to knock the dirt off; mushrooms absorb too much water if you rinse them. My only worry with reclaimed containers is that most of them aren’t microwave safe; I have concerns about BPA leeching into my food. I’ll use them too, but I let them thaw on the counter/overnight in the fridge. Jill and Amanda, Thanks for this information. I can’t wait to make more stock – veggie and beef – after I go to the market this weekend. haven’t tried this but apparently you can regrow celery. just stick the root end you normally toss and put it into a container and in a few days you start having the small stalks appear. I guess you could transfer it to your garden if you have a long enough growing season. We don’t as we have had snow for 3 days this week. I have just gotten a potatoe peeler run on batteries or electricity and it peels the skin in long thin strips. We had company with 2 young children and I made french fries well I took a handful of the long strands of peels dropped them into the oil and the kids loved the lacy look of them under the hot dogs on the plate. they ate the skins which are healthier and didn’t want a bunch of fries as well. Jill or Tawra, How long can I keep Hershey’s cocoa in the pantry after it is opened? It is in the brown container with the round metal lid that pushes down. I know I have had it for a least 3 years but don’t use it often and the can is the smallest size made but still expensive. Is there any way to tell the expiration date? I did not see it on the can. I don’t want to throw it out if it is still good. Maggie, I’m not sure how to find the expiration date on it but you can easily keep cocoa for 2 years and even longer then that. It really can’t hurt you it just looses it’s flavor the longer you have it. To play it save most say 2 years but me I have had it 3-4 years and used it just fine. It is the same thing with canned goods. They do have an expiration date buy you can keep them for a few years after that date. The main thing that happens is once again they start losing flavor. Maggie and Jill. 10 years ago my husband came into the grocery store with me. He found cocoa powder for .25 a can and figured since he likes hot chocolate why not get 6 cans. 10 years later I am still using the 2nd last can. Unopened it loses nothing. Opened I still use it for at least 2 years. One of the reasons I like it when Don has a book in the van and sits out there to read. If I need him to carry out or get something heavy or if I just want his opinion on whether to get steaks or back ribs since both are a good price I use my cell phone. Never wanted one of those either but if it keeps him out of the store I am all for them. Wow! 6 cans of cocoa barely last a year around here with our 4 kids! That’s such a great deal you found! tawra, there are just the 2 of us now and neither of us likes hot chocolate everyday or even every week. When Don has a cold he loves hot chocolate and lots of buttered toast. says the toast scratches his itchy throat. I really think it is his way to get attention that he says he hates. I also do not bake. Love to cook hate to bake so the cocoa powder sits on the top shelf and I need a step stool to reach it. Mainly I keep it for him when he has a sudden craving for it and make it with splenda so his blood sugar doesn’t go through the roof. this last can should be ready to be put in the recycling in about 2015. I just read a quote yesterday that said “True strength is breaking a bar of chocolate into 4 pieces with your bare hands and then only eating one piece.” I loved it and I wonder where my kids and grandkids get their passion for chocolate from??? : ) Guilty as charged. Thinking back on the purchase, I’d almost think I bought this 4 years ago for one recipe and now I don’t even remember if I opened the can. I’ll check to make sure no “critters” are sharing the can and use it if it is okay. I hate to taste it because it is so bitter. Thanks ya’ll for your advice. When writing a months worth of menus, I can balance Sunday dinners and their leftovers for later in the week recipes, quick dinners for busy evenings, meatless nights, and breakfast for dinners Saturdays. I can assess whether I have two cheese dinners or spicy dinners in a row, do I have family favorites, and a couple of “new recipies” to try. I calculate how many ‘cans of stuff I need for the month. Then my daughter and I go through the pantry, freezers, and 3 tubes I have for bulk canned storage, and check for stock on hand. (Shop your in house store first). If I need 6 cans of mushroom soup for the month, and I have 0 on hand, I’ll buy 10-12 or more if the price is really good. When I see meat at a great price at our local market, like $1.49 for whole pork loins, I’ll buy 1 and cut it up myself, mostly chops and the end cubes for sweet and sour pork or stew. Same for country ribs. usually for $1.49lb Seems the butcher puts have with bones in them and half boneless in the large family paks. I divide up into dinner portions. By doing this, over a few months I have enough meat that when we have a big expense for a month like car repairs, I can usually skip buying meat at all. If we have a snow storm, no need to go out to the store, we have enough to last several weeks backstock. And don’t feel like pork chops for dinner, no problem, with a month of menus, I can just pick something else from the month and substitute. I keep a notbook with all the menus for the last 3 years in it. when I make a switch, I change it in my master book. If we hate something, I note it in the book. If a tweek a “new” receipe, Or want to in the future, I note it in my book. Ask what we ate 2 years ago on march 23, I can tell you. Crazy? How much do we spend, about $300 a month for 3 adults, and we eat very well, Not steaks everynight by any means, but very well balanced and varied meals with a lot of foreign flair and creativity. Beverly, I would love it if you would put your monthly menu out to share with us. Most meals I find are so time consuming and require so many extra ingredients that I do not usually have on hand. 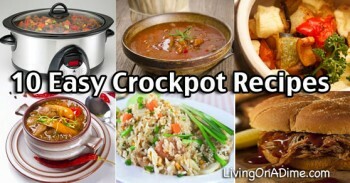 I would love some easy meals to try with my family. Beverly here too is an article on meals under 30 minutes you might like to read too to help plus if anyone has it our menu books has a couple of months worth of very easy menus and most are under 30 mins. too. I try to make as many of our Thursday newsletter menus 30 mins. or less too. I have found if you plan right most regular meals take 30 mins or less we have quite a few on the web site that may help too. Beverly, I really like your idea of menus for a month. I usually make our menus for a week or 10 days ahead. My husband is retired and I am still working and get paid every 2 weeks. I try to do a big shop every other week but pick up milk in the odd week with a visit every Saturday to the farmers’ market. I am learning to buy only what we will eat of fresh produce each week because for a time after our kids left home, I would buy too much and end of throwing it out. Now, I try to freeze the extras and make soup or stew with it another time. My husband complains if I try to buy much in quantity saying that the store is just down the street but he doesn’t realize that it saves us in the long run. Again, I will try to make up menus for a month for my next shop and see how it works. Thanks for the idea. I try to use up my freezer meats and only shop for the sides and perishables but if there is another good meat sale, I am hooked in. I think the secret is just not shopping when you have a freezer full. Your idea of buying extra cans of something on sale should help with not going into the shops at all. I will admit to having a stash of basic foods to be prepared for any kind of emergency but I also see it as an investment as food prices continue to rise. I have always been able to cook from scratch but ocasionally brought commercial mixes. Now I am collecting recipes for home made mixes etc. In this day and age I am afraid we have to learn new skills and be prepared to sacrifice many of the things we have been led to think of as necessities. The motto of the Scouts is “Be Prepared” We would be well advised to adopt that as a personal motto. One danger of stockpiling is the bugs that get into grains, dried beans, noodles, etc. If you put a few bay leaves in the container with the stored items, the bugs will stay out (they don’t like the smell). Freezing will also kill any bug eggs that might have been in the items from the store. A large container of bay leaves goes a long way. I also sprinkle them in the kitchen cabinets to keep bugs out. Bay leaves do not affect the taste of the stored food. Many things like flour and things have the eggs and a few bugs in them or on the package at times so it is best to stick them in the freezer for 24 hours to kill anything that might be there then store in your air tight containers with bay leaves or something if you want. Mushrooms in the fridge go nasty if kept in plastic but they’re fine in brown paper bags. You can also make mushroom ketchup which is very useful. Wow! The prices quoted on here are insanely cheap. I coupon and stock when on sale but nearly nothing my family eats goes on that sort of sale. Do you have any tips for people who eat next to nothing that comes out of a box or a can? Also, I have tried many of storage techniques noted on here and have to say they do not apply to living in Phoenix. Nearly everything goes into the freezer in some fashion but not even the things intended to be frozen keep here long. Root vegetable and citrus storage are killing my efforts to save. I keep them not touching, in cardboard, in the pantry … but that is as cool and dark as my house gets due to needing to save on energy and there being no basements in the city. Potatoes make it about 10 days on average and the onions less than a week. Citrus ends up in the fridge and is too tough to use within two weeks. Any ideas for us desert dwellers? To be honest I’m not sure how to answer your question and not sure either if you are talking about the same article that you commented on. I couldn’t see that many prices we quoted in this article plus when you said we had nothing for people who don’t eat anything that comes out of a can or box about 80% or more of the things we listed in this article are used by anyone. For example we have baking powder, baking soda, olive oil, olives, flour, sugar, vinegar, salt, grits, cream of wheat and way more then I can list that even people who eat everything fresh need to use once in awhile. If you read through our books and web site you will find I address this question all the time. “I live in a different area and things are different here so how do I save in my area and my situation.” I usually say most of my tips can be used or adapted to anyplace. For example don’t buy in bulk if you can’t use it up quickly enough. That applies any where you live. This is one reason I usually to get people to stop shopping at warehouse stores because unless you have a large family and will use the stuff often it goes to waste. Plus I have found that yes it may seem like getting more of something is the best deal but if you are throwing half of it away then you are in the long run wasting money. If you are trying to save long term with fresh fruits and veggies no matter where you live they only last so long. For long term you will have to dehydrate or freeze some of those onions or potatoes. Squeeze the extra citrus into juice and freeze. Don’t be afraid to use more canned things for long term.If you are growing your own food you need to learn to can or dehydrate if you want to keep it long term to save. It has been proven over and over that canned fruits and veggies have just as much nutritional valve as fresh. Another tip I say too is don’t get locked in to the prices we quote. There are things in your area which are much cheaper then what we can get here so buy the things that are locally less for you. Change your mind set. Instead of thinking “My situation is sooo different.” Think what can I use and take away from these ideas. We once had a woman call all upset and said I have… and proceeded to listed 5-6 different medical conditions. Your recipes won’t work for my conditions. That same afternoon we had another woman email us and say I have…. and proceeded to list the same conditions the first woman had had and she said “I love your recipes. They work so well for me because I can easily adapt them to what I need.” I always found it interesting how 2 people with the same situation can look at things in such different ways. So maybe try looking at the things you buy in a different way. Buy more of some things and less of others. Learn what things you can save on and what things you maybe can’t and may have to substitute something else for when you can etc. Thanks for the v. useful advice. I laughed out loud at Grandma’s story of the helpful husband and the tomato products. He sounds lovely. My marmande tomatoes have done very well this year but we always have a few cans of toms in the cupboard. I do envy people with proper pantries. My parents house had a cellar which was wonderful for storing things.There are sacks of spuds in the garage and my onions are hanging in the greenhouse. I’ll bring them inside before it freezes. Six little pumpkins are sitting on the stairs, not because they’re decorative,, which of course they are, but because I don’t know where else to put them. Yes, evaporated milk can be costly. A good cheap substitute is to reconstitute dry milk. To do this just reconstitute at double strength: instead of 1/4 cup dry milk to make one cup, use 1/2 cup dry milk to make one cup. One hint that I didn’t see posted here is to rinse all fresh produce in vinegar water before storing. 1 cup white vinegar to a gallon of water will not only rinse the dirt off your produce, but also serves as to extend the shelf life, particularly for fresh berries. 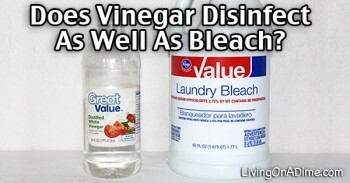 I tested this theory with strawberries, rinsing part with the vinegar water, the other with plain tap water. The vinegar water berries lasted a full seven days in the refrigerator without molding. The others needed to be used within a couple of days. As a new bride with a husband in university in one town and our house on the family farm in another town (two hours away) we travel back and forth on weekends. Now I have two separate kitchens to deal with and might not have all the ingredients for a certain recipe in one location. Sometimes I will improvise with another product that is similar and it seems to have worked out so far. Late last summer, I hit upon a bonanza. I went to a large yard sale, where someone was cleaning out a relative’s house as they were moving. It seemed every conceivable item that a household could acquire in 30 years was available, for very low prices. Near the front of the sale were 2 very large boxes full of spice and seasoning bottles. Each box was big enough to hold the contents of a very large kitchen sink. Apparently, this relative frequently liked to try new recipes, and just bought spices and seasonings with every recipe, without checking what they already had. Many jars were still unopened. Both boxes were free for the taking. I asked if I could take all of the spices, and they were more than happy to let me have them. I took them home, sorted them, re packaged what was good, with spices that were the same. Long story short, I got the equivalent of one large box full of new spices, re-packaged in canning jars. Spices are extremely expensive here, and I now have a large shelf full of quart and pint jars of our most frequently used spices, for free. It was a real blessing during pickling season. Excuse me if I am reiterating with this tip, but have not seen it mentioned. Our town has a Dollar Tree store, (I live in TX) they have bread for a dollar a large loaf. Left on the ‘best by” date before it is out of code. for large families. Hope you have a Dollar Tree in your town. Evaporated milk is mentioned twice on the list, should one be condensed milk? Thanks for letting us know Julie. Great post, and equally great comments! I, too, shop once a month at Walmart — I am a minister at a very small rural church, and our income is very limited. I have found keeping a stocked pantry and freezer key to saving money on food. I second freezing fresh mushrooms — they taste better than canned, and actually work out to be cheaper. I also freeze whole tomatoes — when you thaw them, the skins slip right off, and they can be crushed and added to any recipe calling for tomatoes — the best part is that they taste fresh off the vine, and that’s such a treat in the winter time. I chop onions, bell peppers, celery, and carrots to use in recipes as well. We try to have a garden every summer, but this year it didn’t do well, so I’ve been buying seasonal fruit and vegetables on sale and freezing whatever we don’t eat. I don’t meal plan a month in advance. It doesn’t work for me, with my erratic schedule. But, I have many meals in our rotation that I always keep the ingredients for on hand, and this saves us so much time and money, and prevents the “let’s get take-out” nights. Something I do to keep food fresh is to use a vaccum sealer. I reseal bags all the time. I save more money resealing than vacuum sealing, although I do that with food that needs to be saved and frozen. But all sorts of bags can be resealed, chips, cookies, bread, you name it. Nothing goes stale anymore and we use it all up. Yes Joan I love my vacuum sealer and that has saved me more than any other small appliance that I own. Plus on top of that I find the food tastes so much better because it doesn’t have that “freezer” taste that almost all foods get no matter how much you wrap them. It also saves on waste because the stuff can be kept 2-3 times longer in the freezer. I have started using canning jars lately because it saves me going through bags quite as much.